BASIC FOLDING CHAIR. THIS IS OUR MOST POPULAR CHAIR! 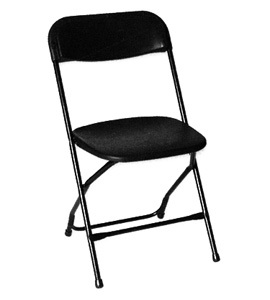 * Please call us with any questions about our plastic folding chair black rental in Baltimore Metro area.